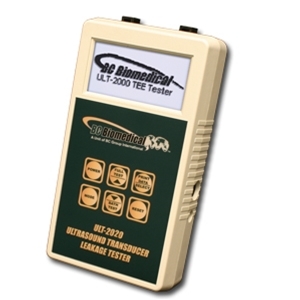 The Model ULT-2000 Series is a family of microprocessor-based Ultrasound Transducer Leakage Testers. The ULT-2010 measures both the conductivity of the cleaning medium and the leakage current of the ultrasound transducer. The ULT-2020 offers the same features of the ULT-2010, plus a Meter Mode and data logging.